The infrastructure of DEVETEX is the one of a vertically integrated producer. The close interaction of purchasing, sales, product development and manufacturing is the basis of our success. Please make yourself familiar with the different elements of our infrastructure. All our articles are produced in the most modern weaving mills in order to guarantee our high quality standard. Our own weaving mills have an annual capacity of approx. 20 million meters and include a warping facility as well as a sizing facility. 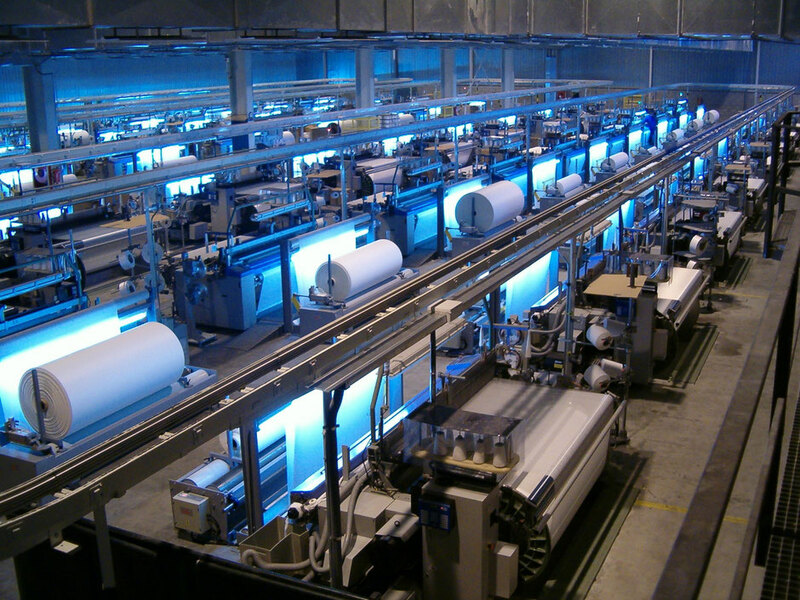 The sustainability of the weaving mills is safeguarded by a high degree of investment in technical equipment. This is the basis for our enduring high quality standard. Our finishing plants are among the most modern facilities in Europe. 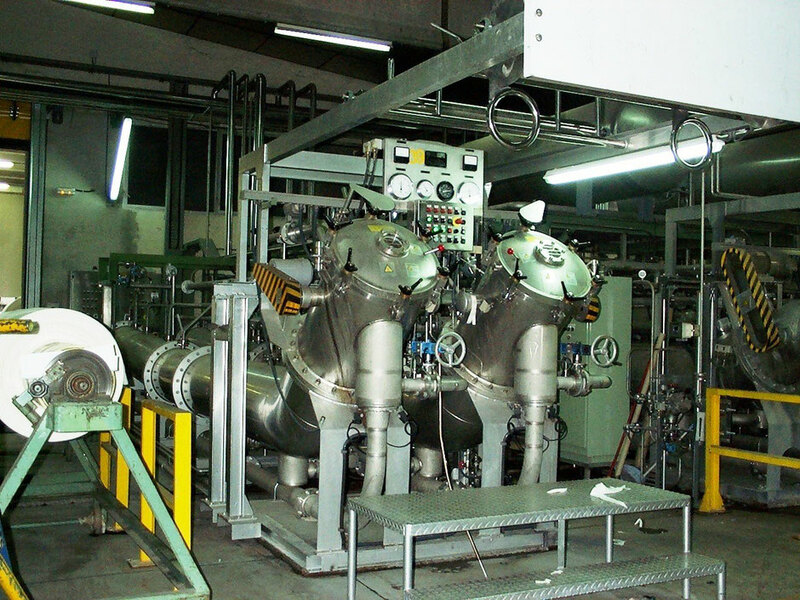 One of the finishing plants is specialized in fabrics for the garment industry. The other facility is focused on technical textiles. Based on this concept, we can guarantee to meet the specific requirements of each product segment. A high degree of investment is the prerequisite for maintaining a modern outfit of machinery, which is the basis for high productivity and superior quality. One big focus of our company is printing on textiles. 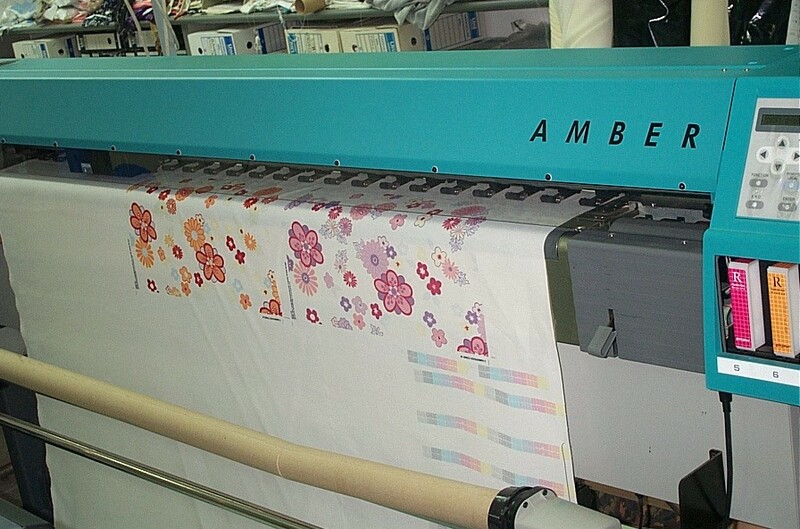 We print on synthetic and natural fibres in rotary and digital printing. The posibilities in printing are huge. Especially in the field of linings, Devetex is able to offer to their clients a unique possibility to individualize garments and to distinguish their collections from those of the competition. The modern design centre is the domain of our creative designers, who constantly develop new designs or upgrade one of about 10.000 existing designs to the latest colour trends of the current season. Our digital inkjet printers are capable of printing on fabric, in order to provide our customers quickly with samples if they like to validate design ideas or compare different concepts. Our highly capable warehouse & logistics organisation is working at top efficiency everyday for our customers in order to guarantee a smooth and timely dispatch of our products. 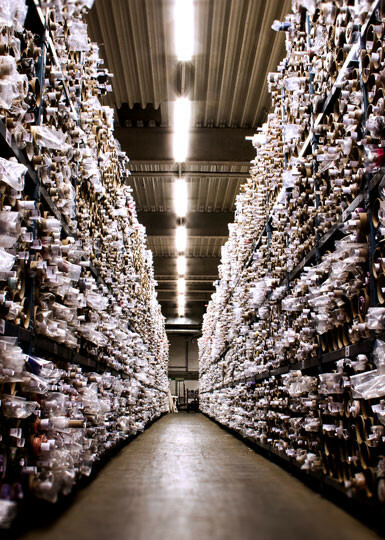 In our opinion, an efficient and well stocked warehouse is the basis for good availability and for short lead times. This philosophy generates maximum flexibility for our customers. Our long-term and forward looking raw material disposition and stocking secures the supply chain. In our 6.000 square meter high rack warehouse, DEVETEX holds about 5 million meters of finished goods in various qualities for the convenience of our customers. This is a very big advantage. We are convinced that the speed and flexibility, which this concept provides,is a basic prerequisite to be successful in our industry in the long-term.